A choice for Seattle: Affordable housing or stadium upgrades? - Archpaper.com A choice for Seattle: Affordable housing or stadium upgrades? 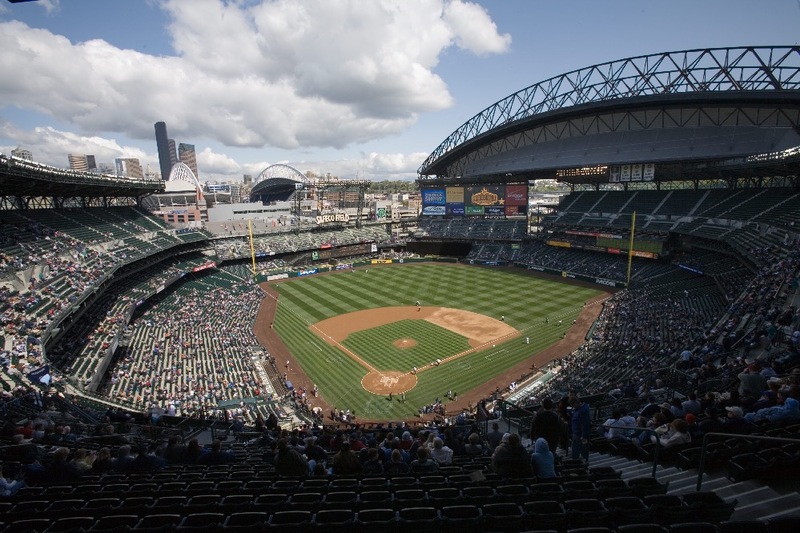 Officials in King County, Washington, are fighting over whether to funnel $180 million in future tax revenue toward the development of affordable housing or for upgrades to the Seattle Mariners baseball stadium. The County, which owns Safeco Field where the Mariners play, has been attempting to hammer out a new 25-year lease agreement with the team for the facility for several months and was near a deal as recently as May of this year. That was when King County executive Dow Constantine proposed to earmark roughly $180 million in funds to be generated by a county-wide hotel/motel tax toward the Washington State Major League Baseball Stadium Public Facilities District, the county-administered entity that presides over the stadium, for facilities upgrades. Specifically, The Stranger reports, the funds would be used to pay for maintenance and capital improvements to the building, including, potentially, new concession areas, a new hall of fame space, luxury box upgrades, and additional parking. The $180 million in public funds would augment $205 million in private funding provided by the team toward renovations for the 19-year-old stadium. 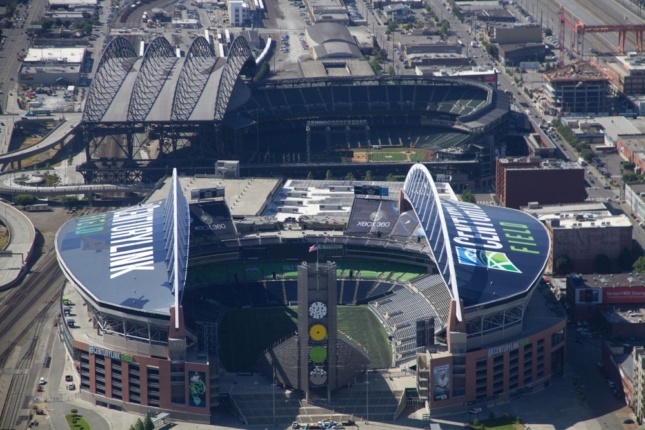 The hotel/motel tax was originally enacted to help pay off debt resulting from public financing for the construction of the nearby CenturyLink Field football stadium in the late 1990s. The football stadium was designed by Ellerbe Becket, LMN Architects, and Streeter & Associates and currently hosts the Seattle Seahawks NFL team and Seattle Sounders MLS team. Famously, the new stadium replaced the mid-century modern-era Seattle Kingdome, which was designed by architects Naramore, Skilling, & Praeger in 1972 and was spectacularly imploded in 2000. The Seattle Times reports that the debt for CenturyLink Field will be paid off in 2020 and that following that, state law requires 75% of the funds generated by the motel-hotel tax be divided evenly between affordable housing and arts-focused initiatives. The remainder is up for targeted but ultimately discretionary use. Constantine argues that the funds should be earmarked for tourism-supporting initiatives—including stadium renovations, as proposed—but other King County Council members would rather see the funds diverted toward helping to alleviate the County’s raging housing and homelessness crisis. The disagreement has escalated in recent weeks as the Mariners have hinted that the viability of their long-term lease is contingent on the $180 million hand out, though the team has not explicitly threatened to move from Seattle if a deal can’t be worked out. In particular, Councilman Dave Upthegrove opposes Constantine’s funding request and has argued publicly for funneling the $180 million toward housing based partly on the idea that the team—worth $1.45 billion, according to Forbes—can afford the repairs itself. After a council meeting last week, support for the housing plan seemed shaky among councilmembers, but as the week wore on, some officials began to rethink their options. A recent report by The Seattle Times added fuel to the fire by questioning whether public money should go toward pricey luxury box upgrades and other high-end line items. There are currently over 12,000 Seattleites experiencing homelessness according to the most recent count, and while regional efforts to boost affordable housing production have ramped up over the last two years, the efforts have done little yet to change housing conditions for a significant portion of that population. There is an urgent need for affordable housing in the region and local leaders are trying a variety of outside-the-box approaches as they attempt to boost affordability. The latest tussle over affordable housing funding comes weeks after Seattle’s corporate elite, including Amazon, Starbucks, and Microsoft, successfully pushed back against a proposed “head tax” that would have levied a modest fee on major employers in the city to fund housing efforts. As far as the Mariners plan is concerned, the King County Council met last week with no resolution on the issue. Additional meetings are scheduled for late August and throughout the Fall.